Often in life, we humans raise our expectations to levels where something could never possibly achieve the heights desired in the outset. 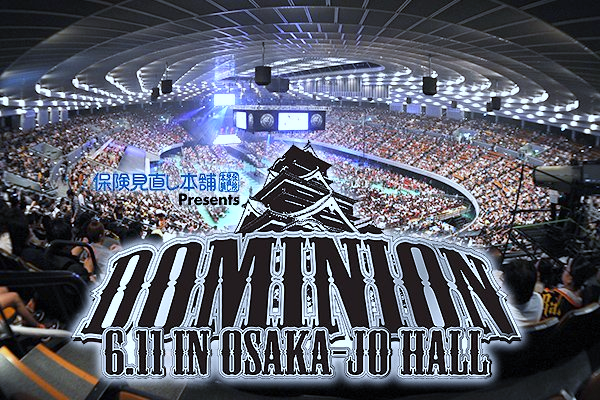 New Japan’s BOSJ 24 however, was not one of these occasions. 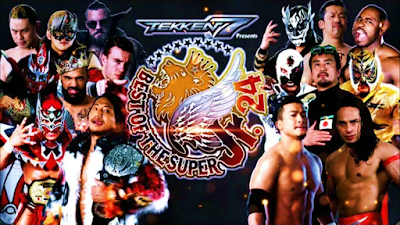 The Super Juniors certainly lived up to the hype and the tournament was simply excellent viewing from beginning to end; if you didn’t manage to catch this year’s tournament, fear not, here’s a rundown exactly what was so awesome about the tournament. KUSHIDA is now the ROH TV Champion and won his final 3 block matches before conquering Will Ospreay in the final in order to become a 2 time Best of the Super Junior trophy winner, his second triumph at the event in just 3 years. If you weren’t sure before, the young lad is most definitely back on the horse. It was in what was the match of the tournament in many people’s eyes that KUSHIDA finished off Ospreay thanks to his new ‘Back to the Future’ finisher after a gruelling 27 minutes and 59 seconds. Both guys beat the living hell out of one another with some crazy spots such as a spike DDT on the apron by Will and KUSHIDA channelling his inner Daniel Bryan and caving in Ospreay’s chest with stomps. It wasn’t your standard high flying, pacey match, it was so much more, as both displayed levels of violence and aggression that has not been apparent in their previous encounters. Was the win predictable? Yes. Does that mean it was bad? Certainly not. I’ve already mentioned how amazing his match with KUSHIDA was but Will Ospreay was well and truly the leading light in this tournament. I was super hyped to see him throw down in group A, given the vast array of talent in there, but he was even better than I could have imagined. 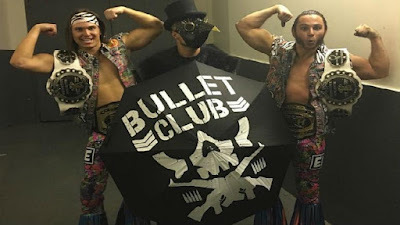 From night one where he was the man to help introduce Marty Scurll to his new fanbase to the finale where KUSHIDA dumped him on his bonce to win; he did everything with an intense style and the fans, who were sometimes quiet for his initial matches, truly rallied behind him and were swapping between him and KUSHIDA all night. He truly won over the plaudits both at home and in the arenas and he will continue to prove why he is one of the best wrestlers in the world today. Finally here, as a quick sidenote, his promos, of which he got to do a couple throughout the tournament, were captivating beyond belief. Maybe it’s the Essex accent but he had me hanging on every word and made me an even bigger fan of him than before. 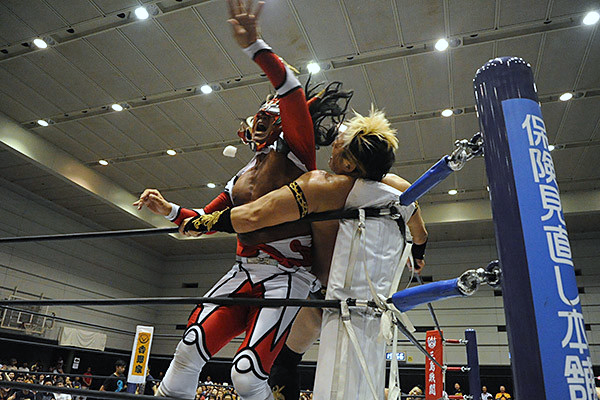 I couldn’t go through this article without mentioning the final BOSJ appearance ever for the legendary Jushin Liger now could I! Liger lost every single match in his ultimate tournament showing, that is, apart from his final ever BOSJ contest. At 6 consecutive losses he came up against the much-hated Taichi, of Suzuki Gun, who still had a chance to top block A if he were to defeat the 52 year old. But even despite the use of Taichi’s hammer and a beatdown from fellow Suzuki Gun members, Liger managed to pull out the victory! He was avenged and protected by the young boys at ringside, who showed their ultimate respect for him by stepping in. In the end his mask was torn and his bodysuit was ruined but he had won and the fans went wild. Sure, it wasn’t Match of Year or anything, but it was fun to behold and they told a wonderful story, allowing Liger to bow out in style with a really memorable moment. How did Marty Scurll get on? New Bullet Club man Marty managed to achieve the most important thing of all during his first rout of Japan. He got over as hell. From the ‘woo woo’ in his song, to his finger breaking to his chicken wing, the Japanese fans ate up this succulent wrestling personality and will surely be back on many future occasions. I imagine Marty is now sitting on a heap of merch money and loving every second as he rightfully deserves, the man is a star and oozes charisma so I’m really happy that the audience took to him so quickly. It probably helped that he began the tournament by tapping out fellow Brit, the aforementioned Will Ospreay and manged a healthy 4 wins, placing him joint second in the group. My only disappointment for Scurll was that he arrived into the final round of matches with no possible chance of winning the block, but hey, there’s always next year! I’ve already mentioned a few so I will gloss over those quickly before jumping into the meaty body of this section. The final, was obviously sublime, definitely the best of the KUSHIDA v Ospreay face-offs and get a must watch rating from me; Marty v Ospreay was superb on night one and gave Scurll the instant great match he needed; and Liger versus Taichi was a simply brilliant story, which few could have expected when the tournament schedule was released. 1. Dragon Lee versus Hiromu Takahashi (Block A, Night 1) – Do any two wrestlers on the entire planet have better and more consistent chemistry than these too? Sure, they’ve had better than this, but this was still a stormer and was the prefect opening main event for the tourney. Their maniac and dangerous style set an enticing tone with Dragon Lee taking the win over the champion showing that anyone can get a beating on any given night. 2. Ryusuke Taguchi versus KUSHIDA (Block B, Night 11) – What happens when 2 members of Taguchi Japan face-off and Ryusuke gets in a serious zone? The best match of the entire second bracket of course! Seriously, this was submission style and intelligent wrestling at its finest; both knew their foe so well and countered one another time after time. It makes me wish Taguchi wrestled like this all of the time rather than averting to comedy because he’s extremely good. More of this please. 3. Ricochet versus Will Ospreay (Block A, Night 2) – Best match of the tournament for me, easily. I don’t know how they managed to but they 100% topped their contest that broke the internet just a year ago. The reverse dragonrana, which I’m sure you’ve seen doing the rounds in gif form on Twitter, blew my tiny mind, but beforehand it was an all action, non-stop insanely fun slippy wrestling. Honestly, it was a 5 star classic for me and I’m sure I’ll watch it again and again, that final OsCutter had me in rapturous applause; these two could wrestle every day of the year and I’m sure I wouldn’t get bored. Congrats lads. What is next for the Super Juniors? 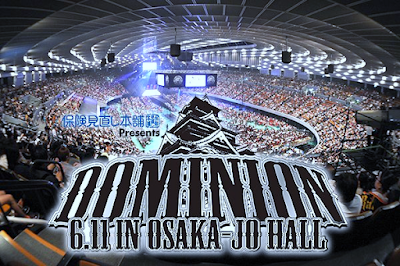 We look to this Sunday, June 11th for the next loop in the rollercoaster that is the IWGP Super Junior division. KUSHIDA will get his title shot as a result of his BOSJ victory, meaning he will get one final swing at the man who has caused him so much pain this year, Hiromu Takahashi of Los Ingobernables de Japon. 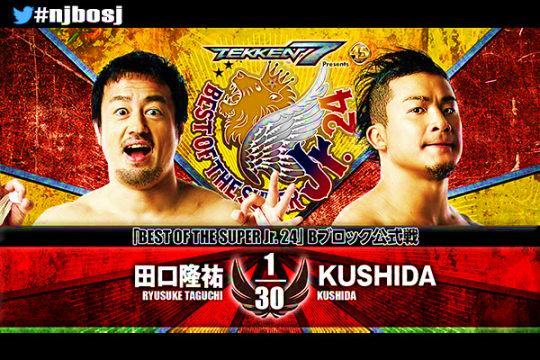 I feel KUSHIDA will finally get the better of his long-time rival and begin his 5th Junior Heavyweight title reign, completing the wrestler’s redemption story on a positive note. I would however, love to see Hiromu kill him off. Having KUSHIDA work so hard to get another chance at the belt and coming up short again would present Hiromu as the most dominant champion in Japan, and have him tower above the division, much like his leader Naito with the Intercontinental belt.